Amazing Any Android Data Recovery provides Do-it-Yourself data recovery solution for Android Phones and Tablets. It can recover deleted or lost files including Messages, Contacts, Call logs, Notes, Gallery, Music & Video and Document from Samsung, HTC, LG, Sony, Motorola, Google, Huawei, ZTE, Xiaomi and other Android Phone & Tablet brands. 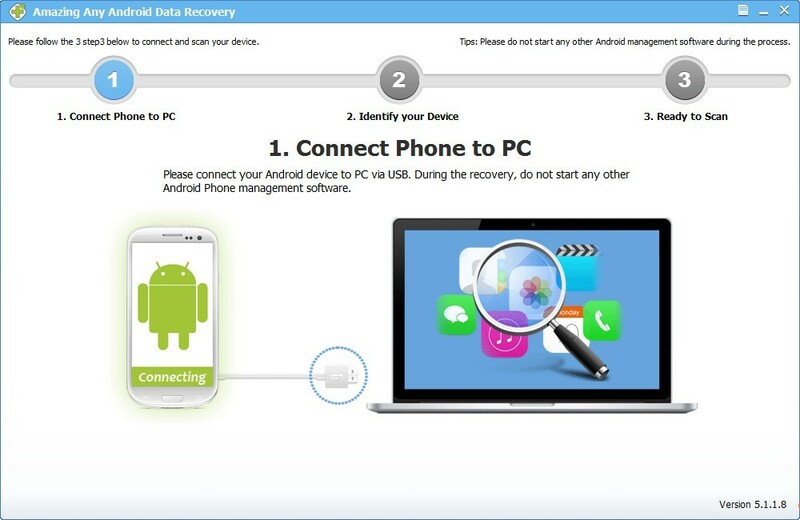 Any Android Data Recovery software fully supports Android data recovery from various data loss scenarios, such as mistaken deletion, system crash, forgotten password, virus attack, device stuck, OS error, rooting, improper handling, SD card issue, device damaged, ROM flashing, factory restore, OS update and other reasons. 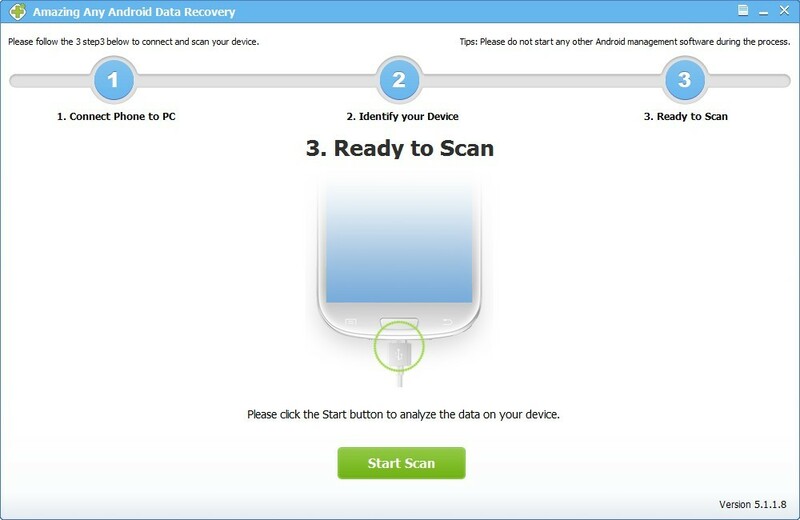 3 steps to recover lost data and recover deleted files from Android device: step 1, connect your Android device to computer and run Any Android Data Recovery software; step 2, authorize your device and click "Start Scan"; step 3, preview and recover data from Android device. Angelia - Recover permanently deleted pictures on my Samsung Galaxy S9. Jamie - I want to find some phone number from my old Samsung s6. Try this app and it worked well. 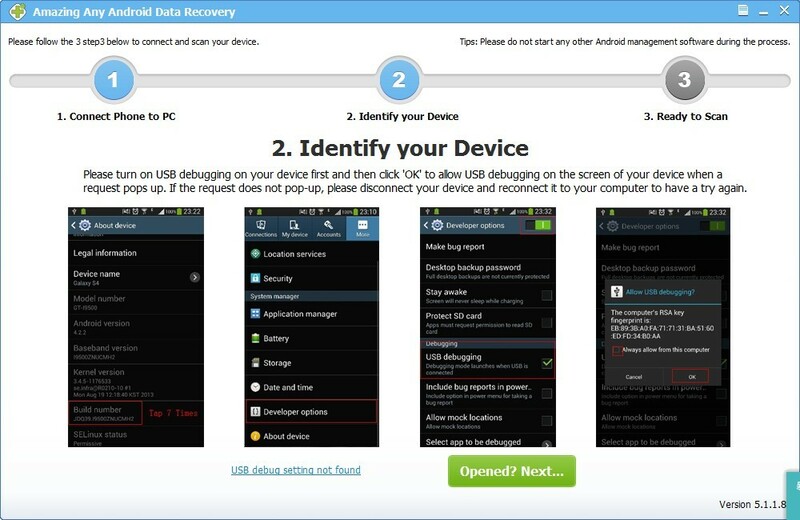 4 recovery modes help you retrieve lost, deleted, formatted data fast, safe and complete. Recover photos from PC, digital camera, Android phone, USB drive, etc.